Ashley Kohlrus is the Chief Operations Officer at Allegacy Federal Credit Union. Ms. Kohlrus began her career with Allegacy in 2004 and currently has accountability for Retail Operations which includes thirteen financial centers, eight student-run credit union locations, Call Center, Private Banking, Deposit Operations, and Product Management; Strategic Planning; and Member and Community Development. In previous leadership roles, Ashley led Human Resources, Learning & Development, Organizational Development, and oversaw Marketing, Legal and Compliance. Ashley serves on the Komen Northwest North Carolina Board of Directors & Executive Committee, The Center for Smart Financial Choices Board of Directors, Allegacy Benefit Solutions Board of Directors, Credit Union Executives Society Carolinas Council (Chair), the Hospice Leadership Council, and the YMCA of Northwest North Carolina Association Board of Directors. She previously served on Winston Salem Society Human Resource Management Board of Directors, Wake Forest Master of Arts Mentor Program, Women’s Council for Forsyth Medical Center Foundation, and the Maya Angelou Center for Women’s Advisory Board. She has received the YWCA “Women of Vision” award and the Winston<40 Leadership Award. Ashley was selected as the Credit Union Executive Society (CUES) Next Top Credit Union Executive in 2012. Ashley received her undergraduate degree in Speech Communications from East Tennessee State University and her master’s degree in Leadership and Organizational Change from Pfeiffer University. 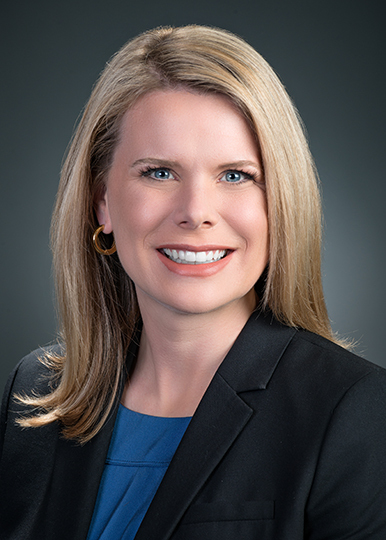 Ashley holds designations and certifications with the Credit Union Executive Society Certified Chief Executive (CCE), the Society of Human Resources Management Senior Certified Professional (SHRM-SCP), Senior Professional Human Resources (SPHR), and in Global Customer Experience Management.